Neowin: LG G Watch R review, a round revolution? When it comes to smartwatches, there's a range to choose from but most run on the Android Wear platform. 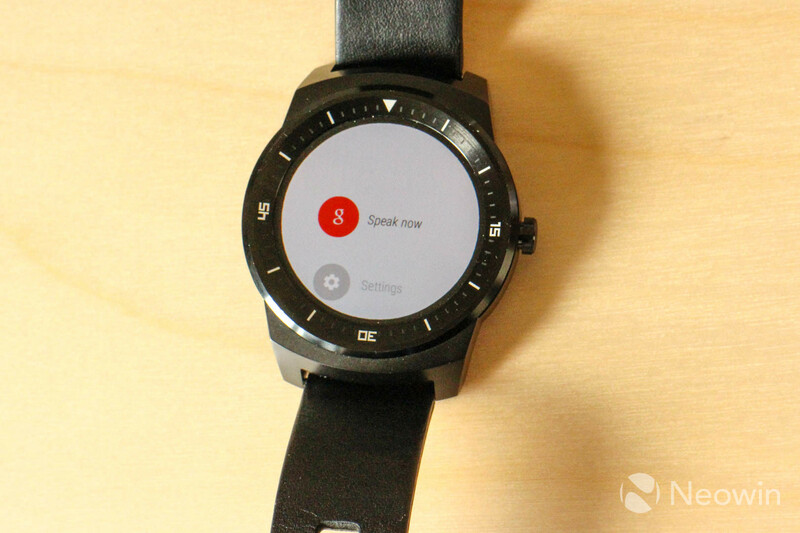 Announced at I/O 2014, Android Wear is Google's solution to put Android on wearables and since launch, we've seen many manufacturers introduce several smartwatch designs to cater for everyone. The G Watch R is LG’s second Android Wear smartwatch after the original LG G Watch, launched as an alternative to the Motorola Moto 360. The latter was the first round Android Wear smartwatch and whilst LG’s offering has some great features, is it enough to be the best round Android Wear smartwatch? The G Watch R features a 1.3 inch Full Circle P-OLED display with 320 x 320 pixels resolution and is powered by a 1.2GHz Qualcomm Snapdragon 400 SoC. The use of a Qualcomm processor gives LG's watch better battery performance than the Moto 360, which is powered by a TI OMAP3 processor. Around the outside of the P-OLED display, the G Watch R has a dial indicating minutes past the hour and on the right, there’s a dial that acts like a power button. Like many other smartwatches, the G Watch R has interchangeable watch straps allowing you to exchange LG’s default leather strap.